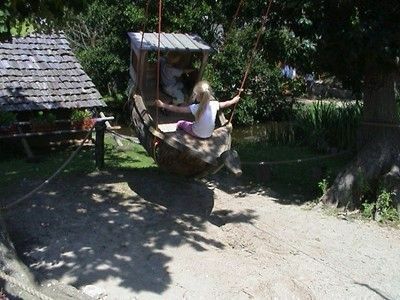 Themed gallic village with lots of things to do for all the family on the Cotes Damour in Brittany France. Good fun for children, with boats for hire, and plenty of activities and games. There is a large open air but covered restaurant serving gallettes drinks etc. children, with boats for hire, and plenty of activities and games. There is a large open air but covered restaurant serving gallettes drinks etc.